Billy & Jack, who appeared in last year's Masterchef, are opening a pop-up restaurant with Silent Pool Gin at the Royal Festival Hall in Waterloo for one month, between 30th July and 28th August, Wednesdays to Sundays. They will be cooking an early dinner on Wednesdays and Fridays at £25, a weekend bottomless brunch (£45, or £25 without booze), and a summer feast Wednesdays to Sundays (£45). Booking is essential, and some sittings have already sold out - hurry! 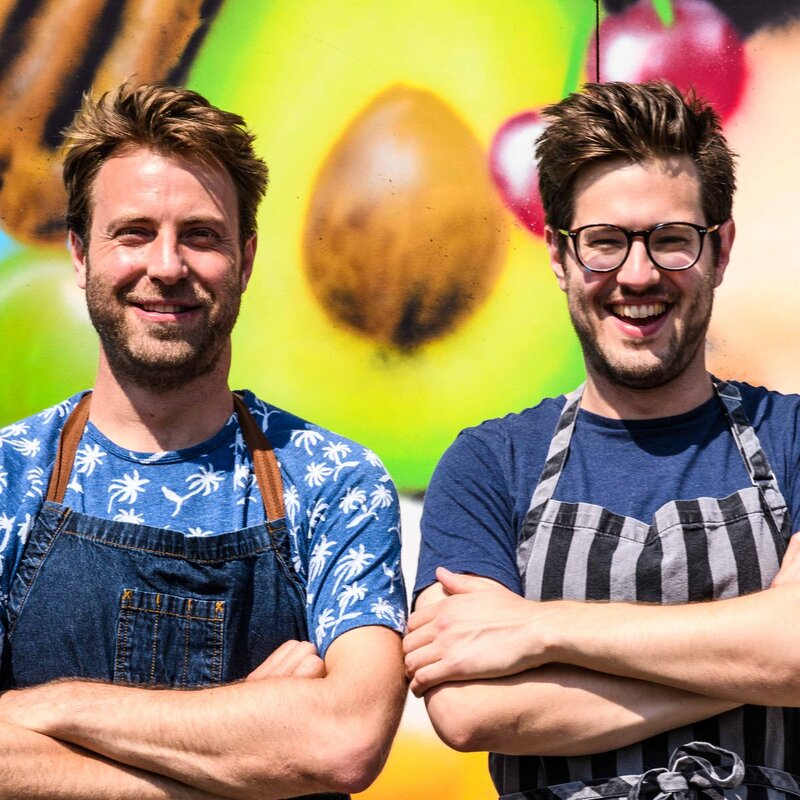 "For one month only, MasterChef duo Billy and Jack bring their sell-out supper club to Southbank Centre. This is your chance to sample the boys’ fun and inventive dishes, all while enjoying breathtaking views from the top of one of London’s iconic landmarks. Billy and Jack celebrate the familiar, much-loved flavours of summer with their fun and inventive style of cooking, while showcasing the best seasonal produce available. The menu includes salted Cornish sardines with heritage tomatoes and roasted quinoa; Notting Hill Carnival-inspired jerk hangar steak; and the boys’ cheeky tribute to Wall’s iconic Fab ice lolly. If it couldn’t get any better, Three Girls Cook – MasterChef 2017 finalists Alison, Giovanna and Lorna – guest host on Thursday 10, Friday 11 and Saturday 12 August. Having impressed the judges on this year’s show, they’re now great friends who love to cook together. Enjoy a selection of sharing small plates and dessert for an early supper before hitting the town, or before one of the amazing shows at Southbank Centre. A full drinks menu is available. Billy and Jack serve up three courses of family-style dining. It starts with beautiful small plates, bread and butters, followed by a sharing main with a mixture of sides and a banging dessert to finish. A full drinks menu is available (so there’s no excuse!). 7.30pm – 10.30pm - £45"